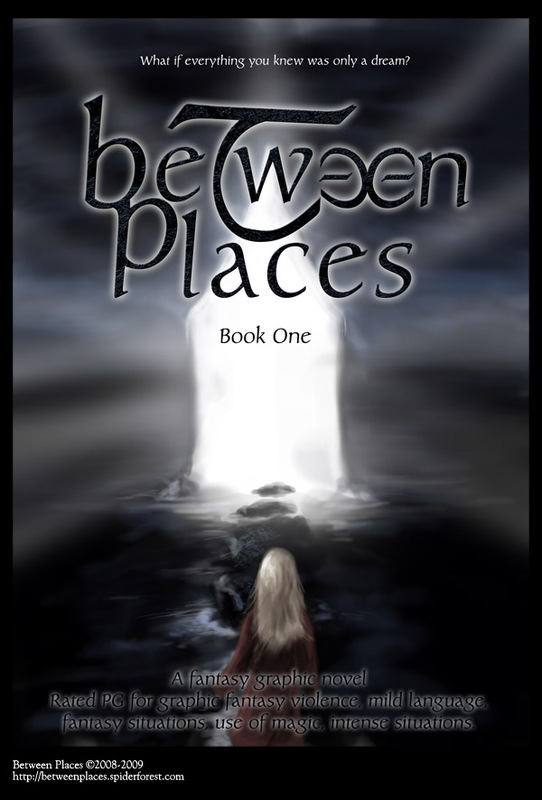 Hey, and welcome to the new site for Between Places, as hosted by SpiderForest rather than ComicGenesis. For now things are going to be a bit finicky as I set up a new site, and the comic will continue to update over here, on ComicGenesis as I set things up. I will be updating with my archived comics over here, and the comics posted here will be the retconed chapter one. ComicGenesis will contain the old version of chapters one and two, whereas SpiderForest will contain a couple of different scenes and an alternate arrangement for what happened. As there will be alternate scenes and page alterations, I will be reposting the archive starting from beginning at a substancially faster speed, rather than placing the old archive up. They will, however, be put up backdated for their original dates and in the event that I update with more than one page, a link will be placed in the sidebar to the beginning of the latest archive update. Once the archives are brought to the end of chapter three, where we are now, the old one page every Sunday/Tuesday/Thursday update schedule will start again, and Between Places will no longer be regularly updated on ComicGenesis. I guarentee S/T/Th updates. Chapter One (which can be found on the Between_Places_WIP DrunkDuck) will reorder all of Dayun's scenes into one long scene. It will have around eight new pages, and the other pages will have text bubbles altered but likely left the same. Chapter Two will deal with the scenes with Avante, Mila and Dreshae and contain enough alternate things that I'm not telling you what happens. =P It'll probably be a fairly short chapter. Chapter Three will be the entire scene with Gabriel (from chapter two), and then the entirety of chapter three now.